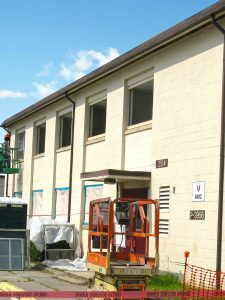 IDIAS provides construction management services for small to mid-size projects of all types. Our experience in design, construction, and third party inspections means we understand each step in the construction process. We work collaboratively with the entire project team, from conceptual planning to project close-out. Our professionals offer recommendations based on site conditions and experience, and remain involved throughout the process with proven leadership, accountability, and a track record of successful project delivery. IDIAS has performed design-build and construction projects for USACE, NAVFAC, National Institutes of Health (NIH), and Seymour Johnson AFB. In addition to in-house civil, hydrological, and transportation engineering design capabilities, IDIAS has established relationships with local full-service design firms to offer a complete design package. We have been awarded more than 20 design-build projects and have exceptional contract management and design-build experience throughout the Southeast region. We are highly experienced in managing and executing construction and design-build projects for remediation of real property and new construction. Our integrated design/construction team helps to ensure constructability and a safe project that is completed expeditiously, in accordance with the approved design. IDIAS integrates the design and construction team members to establish an efficient workflow. Best management practices are implemented for design-build projects incorporating institutional knowledge of federal project designs, successful past practices, and current needs to minimize design challenges and construction risk. We utilize a structured approach based on the complexity of the project, along with open and frequent communication with the client, facility users, and other facility stakeholders. IDIAS has assisted various federal, state, and private clients with environmental compliance procedures through innovative, integrated, and cost-effective solutions for project challenges since 2007. We have solid relationships with the regulatory and resource agency bodies that have jurisdiction over environmental concerns. 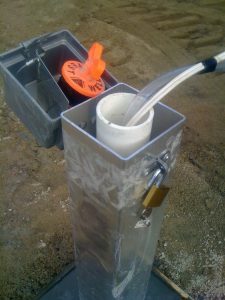 Project experience includes site assessments; wetlands delineation and restoration; site investigations; soil, groundwater, and surface water sampling; remediation system construction; UST/AST removal; air monitoring; soil vapor extraction; reactive walls; and monitoring hazardous waste sites. IDIAS has experienced, dedicated professionals that provide technical expertise and understanding of environmental rules and regulations. IDIAS’s remediation team consists of geologists, soil scientists, wetlands scientists, technicians, and construction professionals. Senior staff have 15+ years’ experience and each field technician has 5+ years’ experience specific to environmental consulting and investigations. IDIAS’s office personnel provide support to field technicians. We also provide project oversight from initial investigation activities/delineations through site closure and are able to meet project schedules through effective field mobilization.